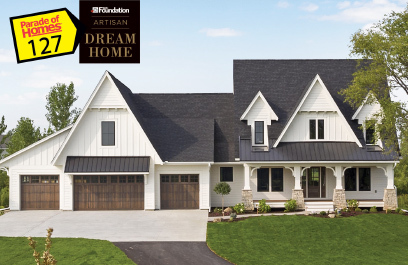 While mapping out your Fall Parade of Homes route, you do not want to miss our Artisan Dream Home Entry #127! 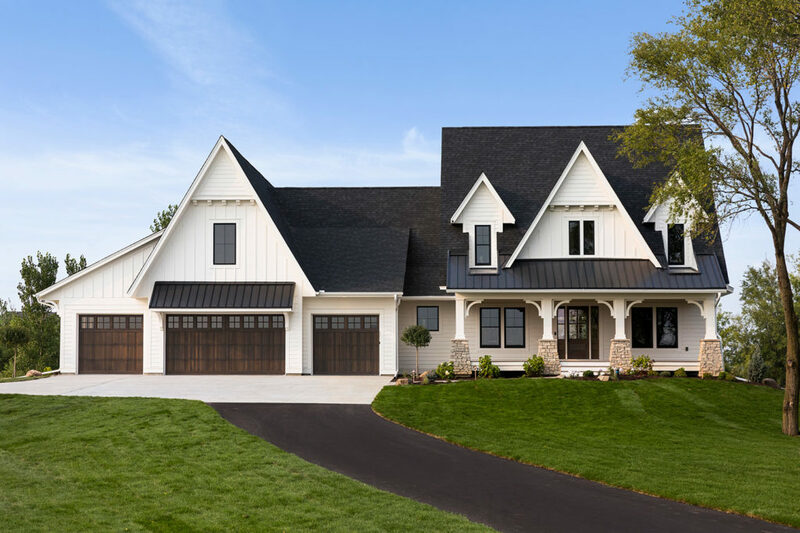 Nestled on a beautiful 2.6-acre property in the newly opened Reverence neighborhood in Lakeville, MN, this classic-meets-modern design will leave you inspired. 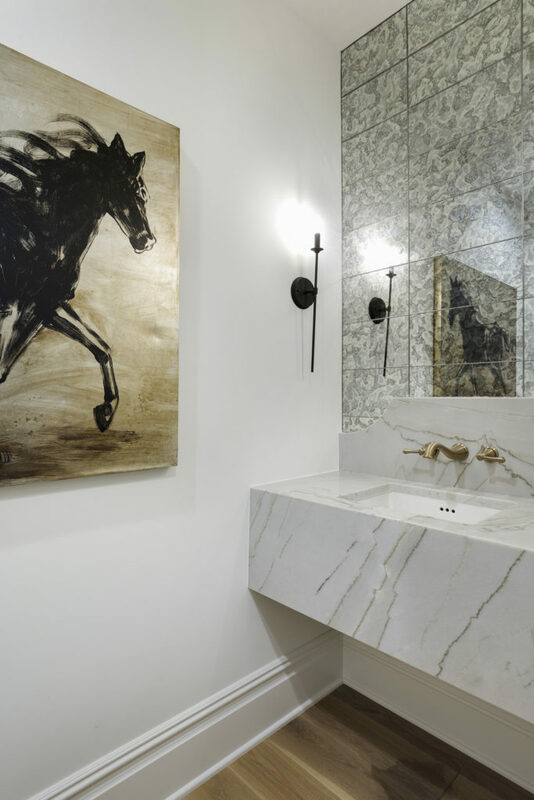 Your eyes will be treated to a smart combination of bold, architecturally rich details with modern conveniences, all while taking full advantage of the beautiful landscape. Learn more about this custom home below. Entering the foyer will instantly set the tone for the home’s aesthetic; modern-meets-traditional-meets-glam! 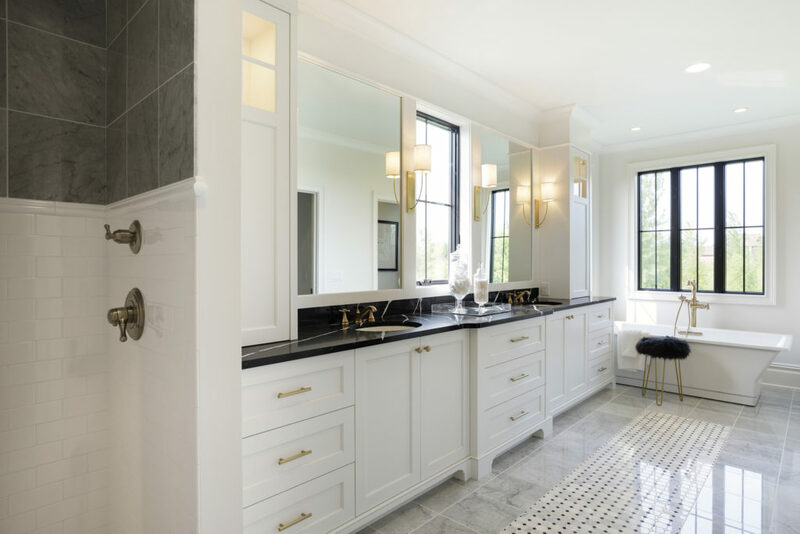 With buttery, wire brushed white oak flooring, white trim and walls, bold trim profiles, combined with a subdued color palette and dramatic contrasts of black throughout, this home is sure to impress. The finished lower level is perfect for entertaining. 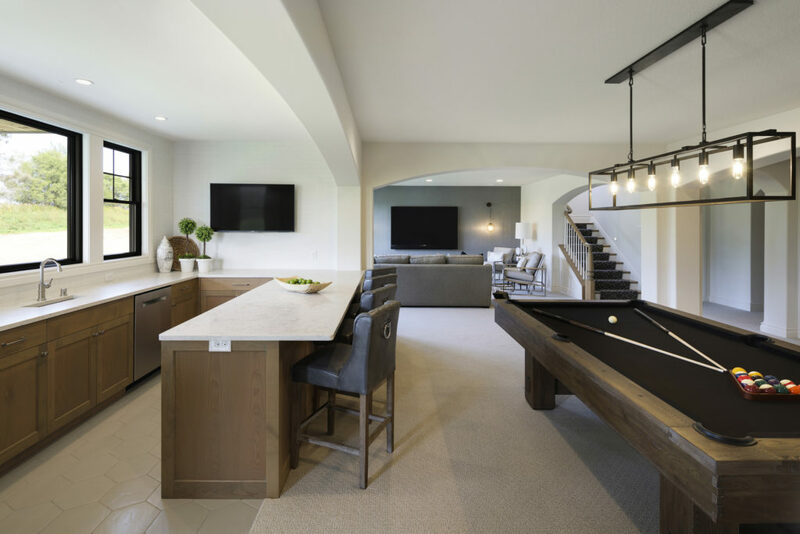 With an open design concept, you’ll find a dramatic wet bar connected to outdoor living spaces, large media room, game, exercise and two large bedrooms with soft arch applications throughout. The features, flow, and livability of this professionally designed custom home will leave you inspired. Be sure to stop by and tour Thursdays – Sundays from noon-6pm! For more details on this Dream Home, CLICK HERE.